Besides running Adia PR, founder Alison Shadrack runs a Facebook group "The PR Hub for Entrepreneurs", a space for small business owners to learn how to do their own PR. Alison often runs free challenges within the group to inspire members to take action with their PR to help promote their businesses. This month, Alison ran a free 7-day "Winning Press Coverage for Your Business" online challenge. Alison provided daily tips on how to find and attract journalists and secure some great press coverage. The challenge is over now but if you'd like to find out more, sign up for the free Facebook group. You'll be in good company as there are already over 1,000 small business owners in there. 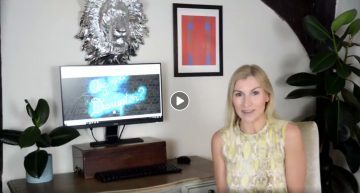 If you are a small business owner and would like a complete structured approach to learning how PR can help launch your business to success, please see Alison's How To Do Your Own PR online course. This course is ideal for those who need help with promoting their business and raising their personal profile. It's also a great course to enrol your PA, marketing exec or other team member on to. Find out more here.